The lower part of car park 6 will no longer be available as a parking space for staff and students as from Wednesday 13th February, due to the construction of new Architecture and Education faculties in the area starting on the day. In light of this, Kunsill Studenti Universitarji, KSU, advises students to use alternative means of transportation in the coming days. In a press release KSU stated that it was informed about the issue mid-way through exams. Through several meetings with the University administration, KSU managed to postpone the works which were scheduled to start in the midst of the January examination period. KSU expressed its dismay towards the University’s failure to communicate the issue earlier. This project is one of another four which are currently ongoing at University which include the new University Residence, Engineering Labs, the Maths & Physics Extension and the new Sports Complex. KSU claimed that while students augur such developments, a number of inconveniences such as this will be expected until their completion. A number of scheduled and ongoing projects will also include substantial underground parking spaces to make up for those lost. However, these will only be available upon project completion which according to the information given to the Students’ Council, is expected to take around 2 years. With the aim of mitigating this issue, KSU will also start offering subsidies to the Park & Ride from its Transport Fund. All alternatives offered by KSU are listed below. Carpooling: Carpooling has been moved to Carpark 4, which is adjacent to the University Quadrangle. Similar to what has already been taking place, parking spaces will be reserved for students who choose to carpool. 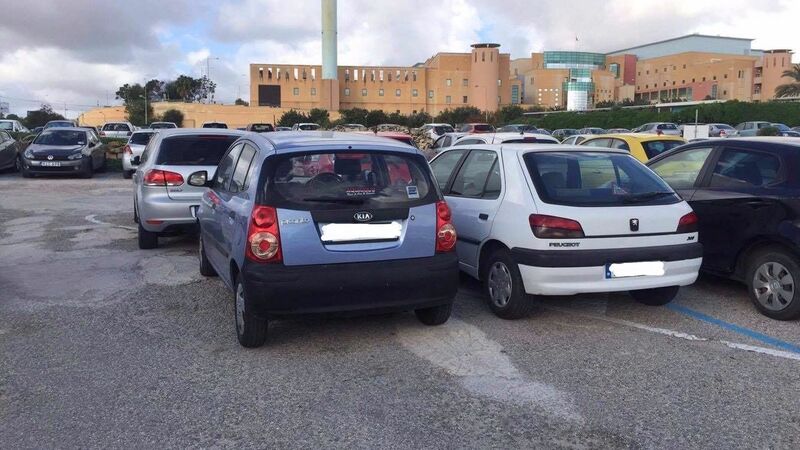 Pembroke Park & Ride System: KSU has held discussions with Malta Public Transport (MPT) over the past months regarding the usage of the Park & Ride Systems. Route TD17, which takes University students from the Pembroke P&R directly to University (Gateway), is currently in operation. €20 monthly passes, valid for unlimited use for a whole month, will be offered as from next week as an alternative to €1.50 fee per trip. Further information will be provided also regarding the provision of FREE passes to students from the Council. KSU will also be working with Transport Malta to speed up the commencement of the P&R service from other locations around the island.